Lansing Special Education services are committed to providing an education that appropriately meets the needs of each student. For some students, supportive educational assistance is needed through special education programs and services. Lansing Special Education services include a comprehensive special education program which adheres to the federal regulations included in the Individuals with Disabilities Act (IDEA), Title II and to the Kansas Requirements contained within Article 12 of the Kansas Administrative Regulations. The need for services is determined in accordance to federal regulations (34, C.F.R. 300.11(a)(c)). If you believe your child may be in need of special education services, you may initiate a referral to your school's principal. A variety of tools and strategies are used to gather information to determine if a student is eligible for special education. The evaluation process establishes whether or not a child has a exceptionality (disability or giftedness) and has a need for special education and related services. The eligibility team, comprised of parents and educators, is required to review data from a variety of sources, such as general education interventions, early childhood screenings, record reviews, interviews, observations and/or tests. Does the student have a disability? Does the student need specially designed instruction to benefit from the general education curriculum? 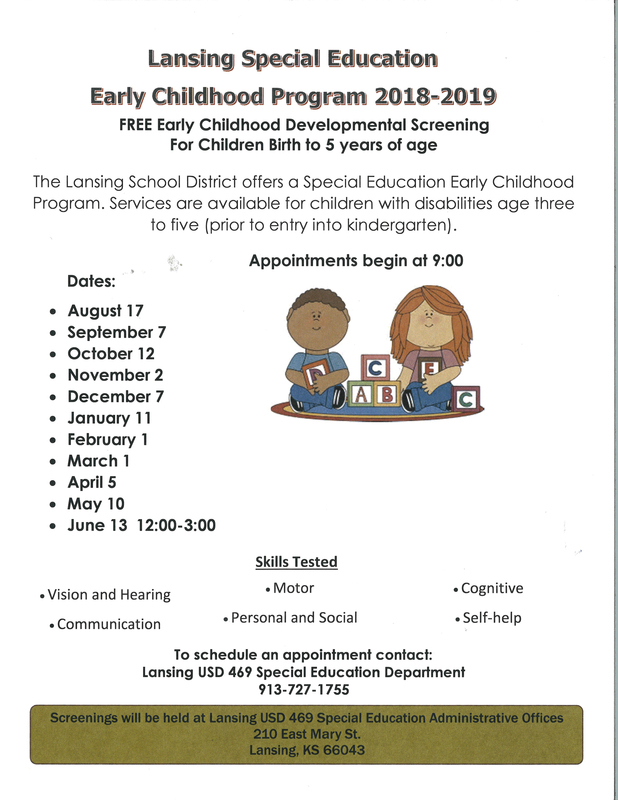 The Individual Education Program, or IEP, describes the special education services a student will receive from Lansing. The IEP is developed by a team of educational professionals, the parents and the student if appropriate. The IEP is reviewed at least annually with parents. IEP progress reports are sent home quarterly. Lansing Special Education services follows the Kansas State Department of Education process for determining eligibility for special education services. If a parent suspects their young child, age three to five, has a developmental delay, they may request a developmental screening. If a parent or school staff member has a concern that a student, who is in kindergarten through 12th grade, is failing to make educational progress they may request to meet with the school's intervention team to address the concerns. The team may design an intervention and progress monitoring plan to address the students concerns. The team will continue to implement the plan, monitor the progress, and refine the intervention plan as needed. The team may find a need for further evaluation in order to determine if special education services are required. The team will make a referral to a diagnostic team for an initial evaluation to determine if the student is eligible and in need of special education services. The school diagnostic team will develop an assessment plan and will request informed written parental consent to conduct an evaluation. The evaluation process is typically completed within 60 school days. Parents are invited to a follow up meeting when the assessment process is complete. At the meeting, results of all evaluations are reviewed and the parents receive a written report. If the team determines a student is eligible and has need for special education an IEP is written and the parents will receive a copy. Parents are asked to give written consent before special education services begin. 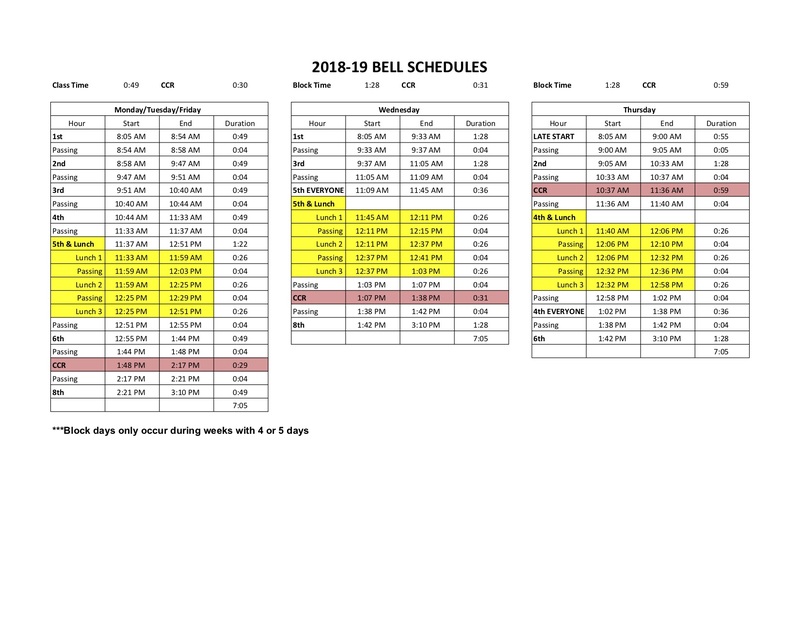 For more information regarding IDEA and the Disability Categories listed above please visit the U.S. Department of Education website at http://idea.ed.gov.